A Hands-on Review of Mighty MendIt: Does Mighty MendIt Work? Mighty MendIt is one of many As Seen on TV products, seen on infomercials all the time. Does the product really work as well as the infomercials would have us believe? I tried Mighty MendIt on three projects to test it. your children help you with a craft project, do not let them handle the bonding agent. Never use it near any source of open flame or sparks. You should handle it sensibly yourself. Mighty MendIt is extremely flammable in liquid form, and it warns against breathing fumes, prolonged skin contact, and getting it in your eyes (flush with water for 15 minutes). As well, if swallowed, seek medical attention immediately. There is an emergency hotline number on the bottle, along with a number for technical assistance. They also mention the tip to cover the bottle end can be a choking hazard. 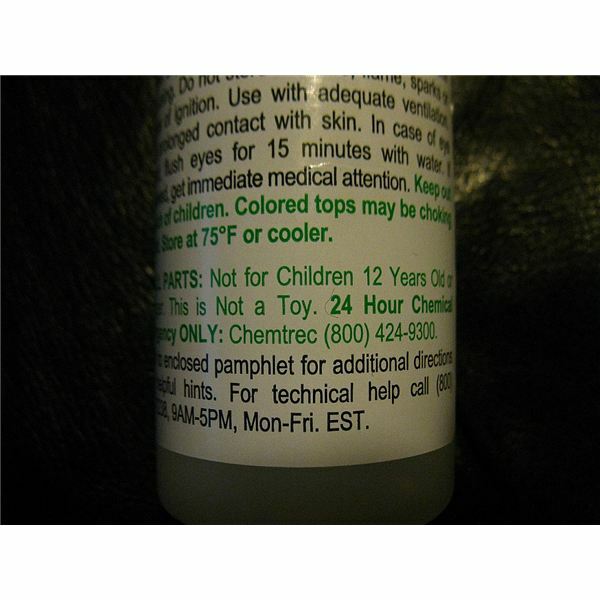 The bottle of Mighty GemIt which came with the package is labeled as non toxic. Both the website and the infomercials offer deals where you can get additional bottles, but they indicate shipping costs of $8.99 or more, if you get additional offers. Some users complained that after they gave their credit card information, they ended up with more product, and more shipping costs, than they had expected. What is in a Mighty MendIt package? that it is a bonding agent, not a glue. When I opened my bottle of Mighty MendIt, it was obvious there had been a leak, as the bottle top had a blob of dried MendIt sticking out from under it. The MendIt still inside the bottle was still liquid, and it did not bring the level inside down much. You are supposed to clip off a small amount from the top of the spout, which allows the bond to come out. I followed directions, and the stream of bond that comes out is fairly thick. 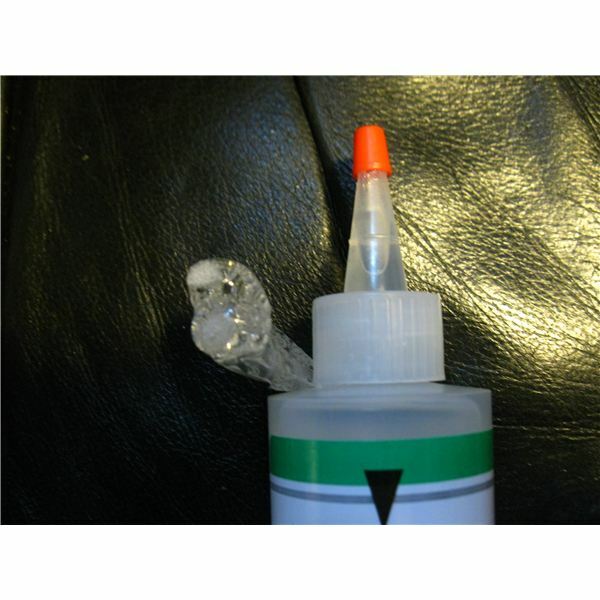 I read online about a user who poked a hole in the top with a large needle and said it gave them a much finer stream, and allowed a lot more control, so I recommend you follow that advice. It is not clear from the infomercials, but there are some restrictions to successful use of Mighty MendIt. It says it can bond cloth, leather, upholstery, wood – and also be used for scrapbooking and other crafts. Oh yes – and parachutes. It does not work well on nylon, lightweight fabric, places where the bond is under pressure, and I am not clear if it works on rubber. Using, and cleaning, objects fixed with Mighty MendIt does necessitate some precautions. The bond cannot be dry cleaned. If you use it on clothing, which is one of the primary uses, according to the infomercials, you must wash the clothing in cold water, and dry it in an air drier cycle, not a heated drier. This is going to cause problems with the bond on clothing if you do not pay attention to this. 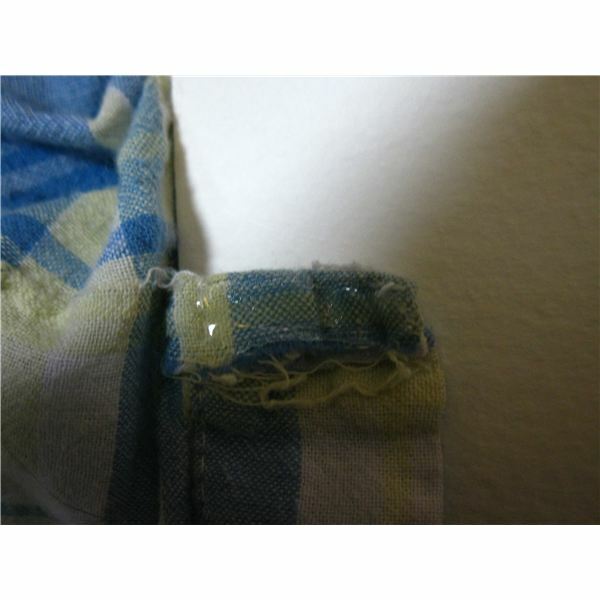 Since it is said to be useful for emergency repairs, it is certainly possible that you might fix a hem on a dress that you normally dry-clean. I do not know if the bond just dissolves away, or if it leaves some sort of residue on the dry cleaned clothing. It is also not useful when you are trying to bond two surfaces that are under pressure. 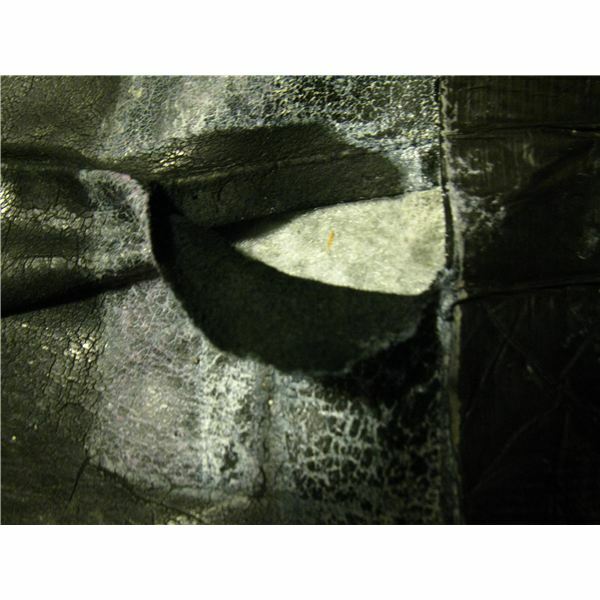 If you have a rip in a sofa, and the edges are pulled open by the tension the material was originally under, the bond is not going to stand up to that pressure and hold that rip together. 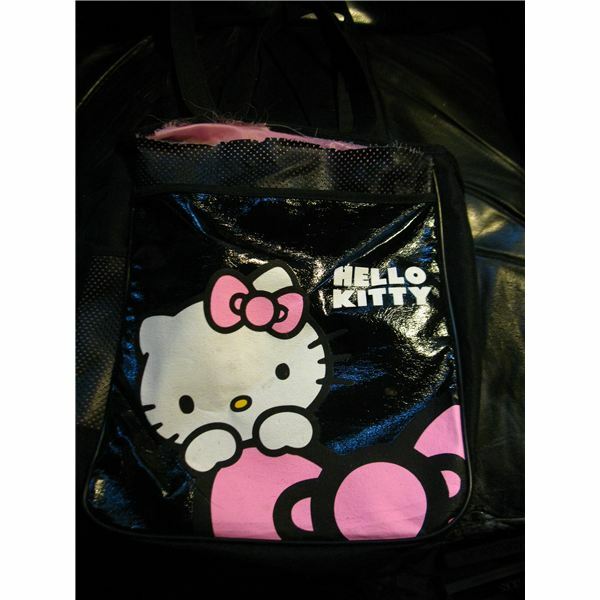 On the next page, we will review Mighty MendIt in use, fixing a tear in a leather seat and mending a torn Hello Kitty tote bag. 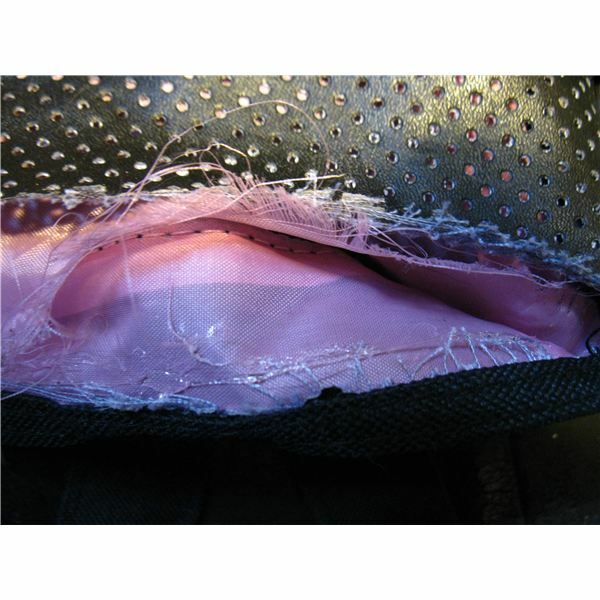 I have three things I am going to try to repair; a tear in the seat of a leather armchair, which is not under pressure; a Hello Kitty bag belonging to one of my children, which is ripped along the seam at the top of the bag, and on the bag lining under that; two pockets partially ripped off a dress of medium weight fabric. This chair is one of my favorites, and I originally put black duct tape on it when it ripped. 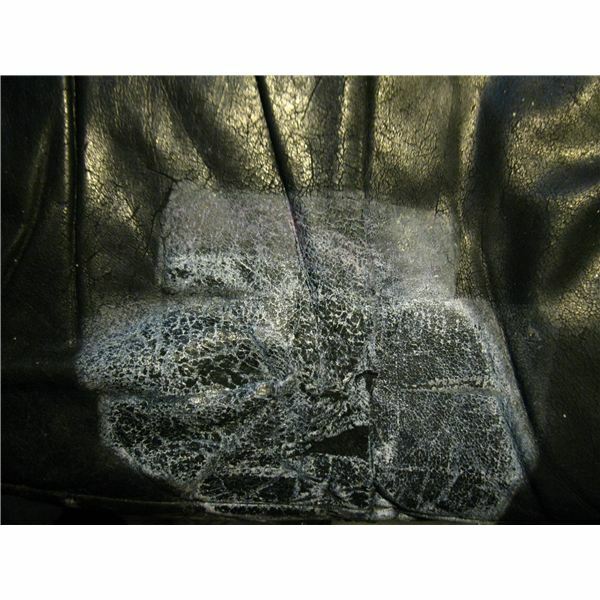 This was not a good long term solution, as the edges of the tape start coming up after the chair was sat in several times, and it also leaves behind a white sticky residue on the chair. I tore off the tape and used fingernail polish remover on the sticky part, which worked fairly well. It is not sticky any more, and there is less residue, but not gone completely. 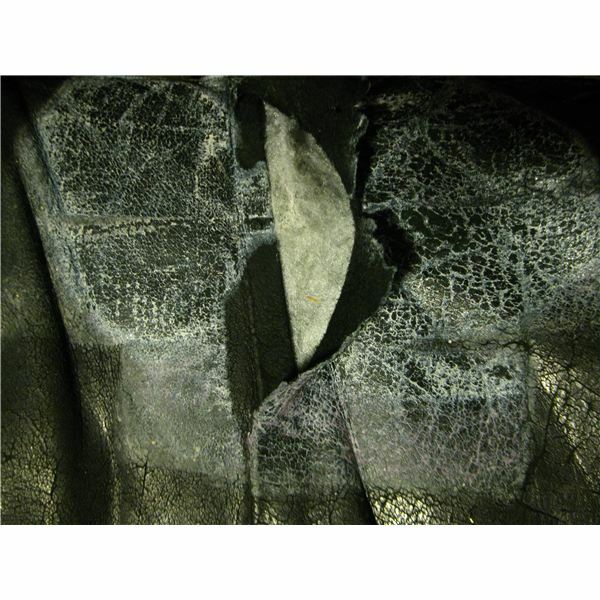 there was enough fabric to fold over the torn edge and still pull the lining up to the edge where it had torn away. I put a line of MendIt onto the place where the lining was supposed to be attached, folded over the lining enough so the threads were not sticking out, and pushed the lining onto the trail of bond. I held it in place for a minute or so and it stayed when I took the pressure off. In fact, I had not held the lining to the bad in a straight line, and the Mighty MendIt had fastened it in place in an uneven line, although roughly where the lining was supposed to be. I tried repositioning the fabric, but the Mighty MendIt was securely enough in place that I could not move it without actually making a new tear. I let it sit for another hour or so, and then bonded the ripped edge of the bag over the lining to the edge of the bag where it had ripped. This covered over my uneven lining completely. I let the bag sit flat for a couple more hours. 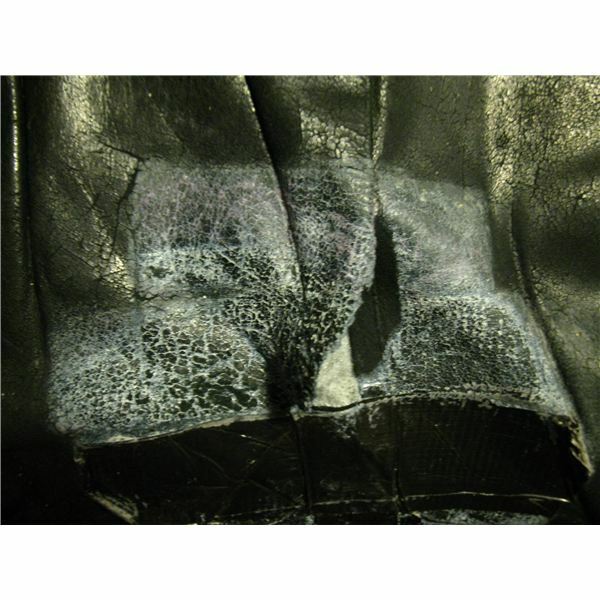 The pink inside lining appeared to be a standard acetate lining fabric, and the other edge of the bag seemed to be a manmade leatherette material (from the hide of the dreadful Nauga). 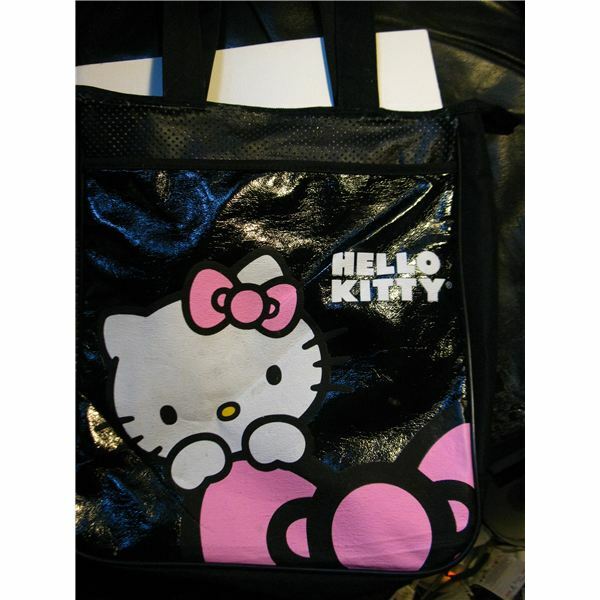 bag would last if the mended portion took a lot of weight on a regular basis. On the next page we look at bonding fabric with Mighty MendIt, and reach a conclusion whether Mighty MendIt works well. The last thing I wanted to try using the Mighty MendIt on was two pockets on a dress, which were torn at the seam where they were sewn onto the dress. 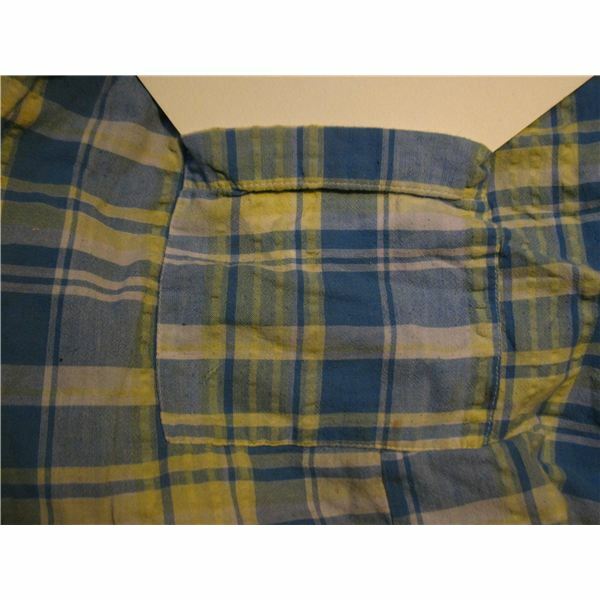 One was separated for several inches, while the other pocket only had the top corner ripped. 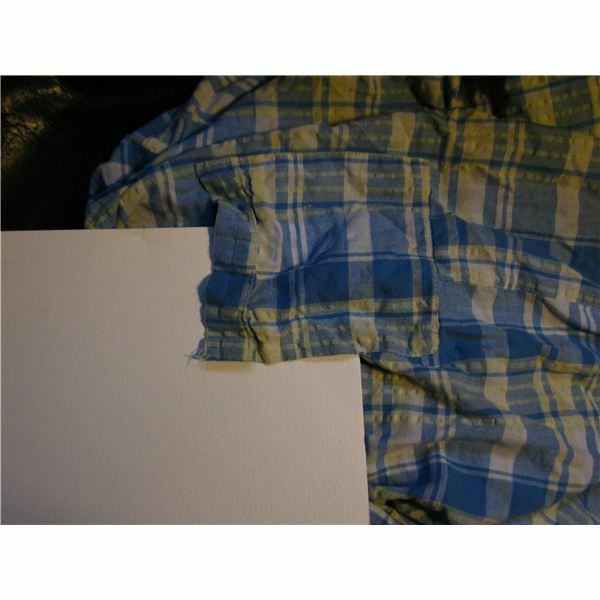 on fabric can make the fabric stiff. I worried about this, and how much of the bond I should use. On the pocket that was ripped from the dress only about an inch, which was really the doubled over hem at the top of the pocket, I put on about as much MendIt as I had used on the other items I mended. I put it on the part ripped away from the dress, and held it in place for a minute. It held in place. 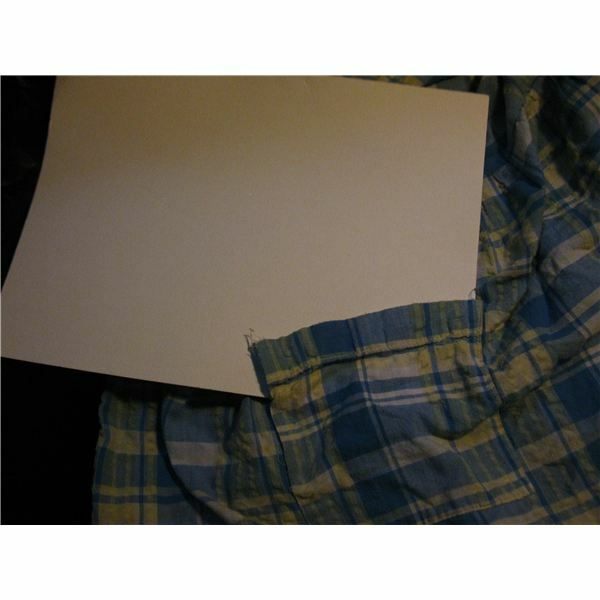 I then went over to the other pocket, which was ripped away from the dress for several inches. I put Mighty MendIt on it, but not as thick a stream as I had used on the other pocket, because I did not want it to get stiff when it dried. I checked on both pockets after two hours. The pocket with the short rip seemed to be solidly reattached to the dress. However, when I put my hand inside the other pocket and spread my fingers, the side of the pocket opened up again. I could feel a slight residue of dried Mighty MendIt on the pocket. 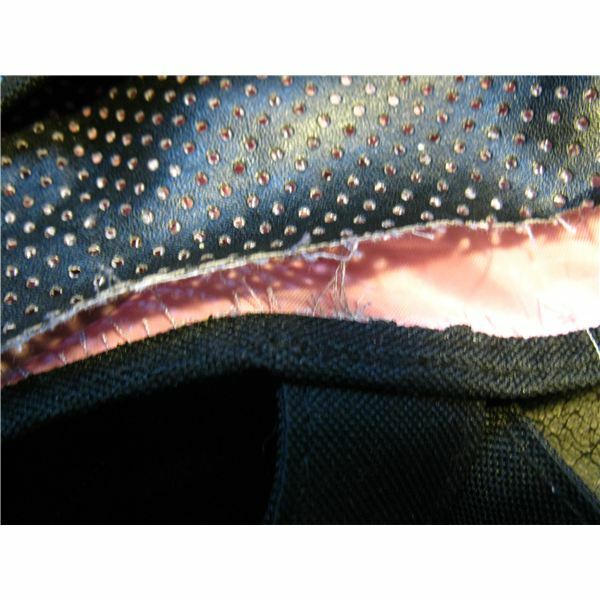 The fabric in the pocket that stayed attached was slightly flexible where it had been bonded. It was not as foldable as it had been before I used Mighty MendIt. they make using the product unsuccessful if you do not follow them. 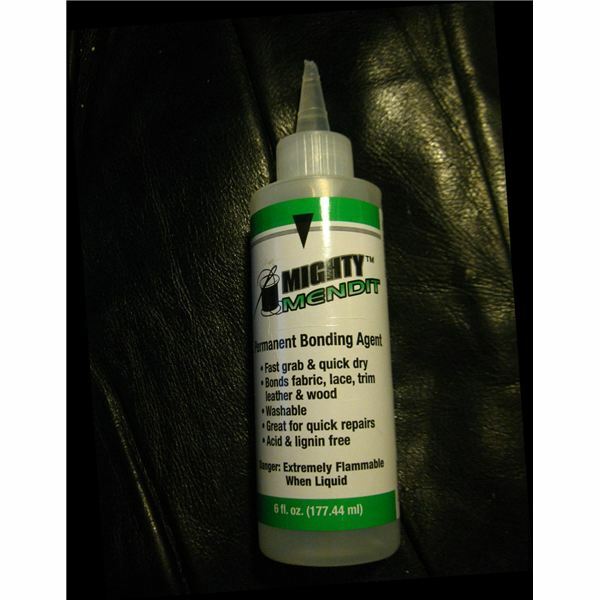 I have used another fabric bond before, and on material, it performed better than the Mighty MendIt. I think there is a relationship between how stiff the materials are that are being attached, and how well they attach using Mighty MendIt. 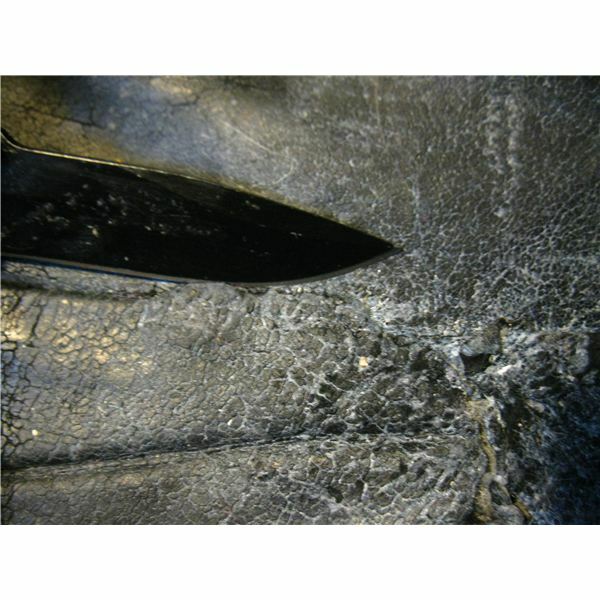 The stiffer the material, the better it works, as does using it when both surfaces are non-porous. It might work pretty well for hemming up the bottom of jeans, but on dress material, it did not work as well as advertised. I think for the material to remain completely flexible, the stream of Mighty MendIt needs to be very thin, and on porous material, that does not give it a solid grip between the two surfaces. When the layer is thicker, you start feeling stiffness from the Mighty MendIt. You also need to take precautions, as it is dangerous to breathe the fumes, have it on your skin for too long, swallow it, or expose it to flame in a liquid state. I was fond of. However, I have been sitting in the leather chair I mended a week before I wrote this article and I think it did a very satisfactory job on it. I do not think I would order it online, unless it was in a special shipping deal from Amazon. Try it if it sounds useful, but look for it locally. All images in article taken by author.